and 6-page write up in FORWARDER magazine about you and your company. It is designed for any forwarder that wants to stand out from the competition and for use when presenting your services to clients. 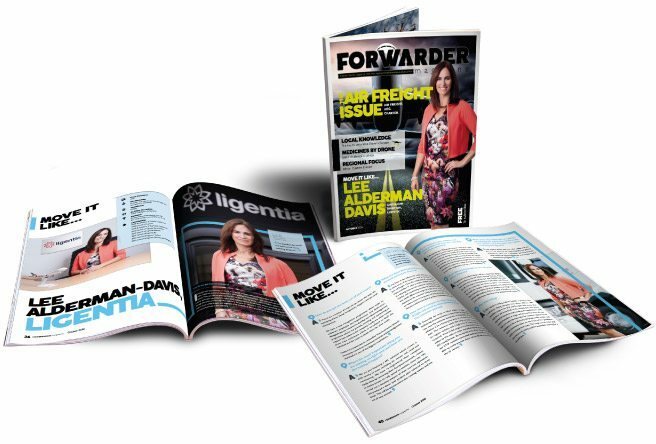 The credibility of being on the front cover of FORWARDER magazine gives your sales team the edge in every new business client meeting. The content for this is rigorously examined before print and you will always have your say regarding what is published. It gives exporters and importers the confidence they need to use you above other forwarders. It’s our flagship product for the magazine and must be booked well in advance to guarantee your slot.